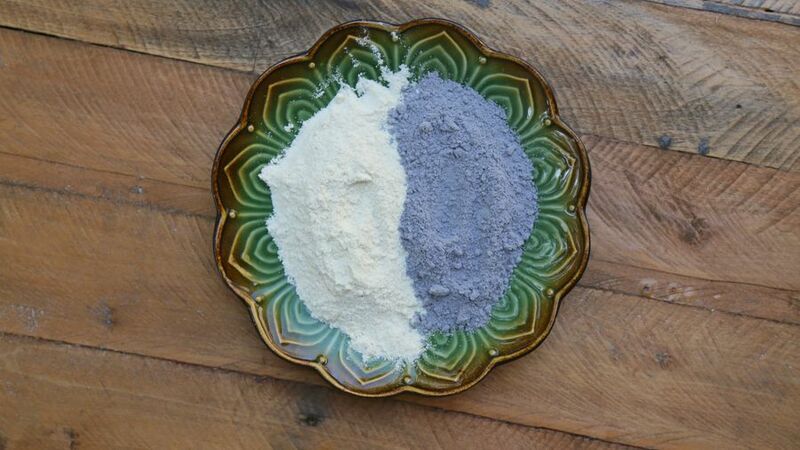 In a bowl, combine corn flour, ground blue corn flour salt and water. 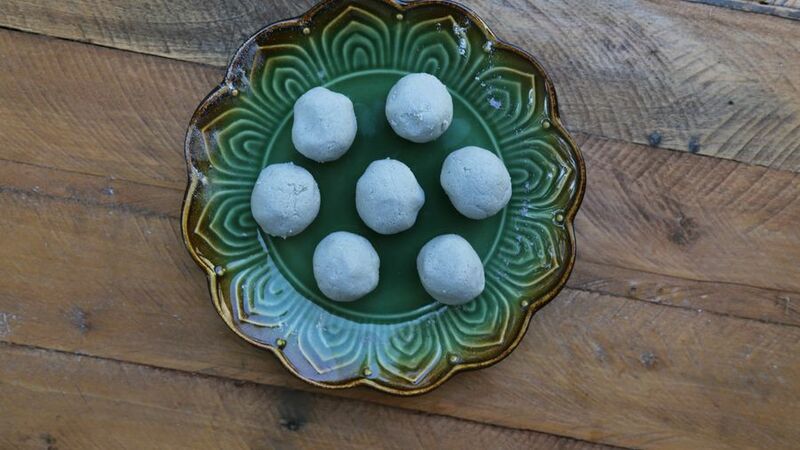 Divide dough into 20 mini portions and roll into smooth balls. Place one at a time onto a tortillas press lined with plastic film or plastic bag, press firmly. 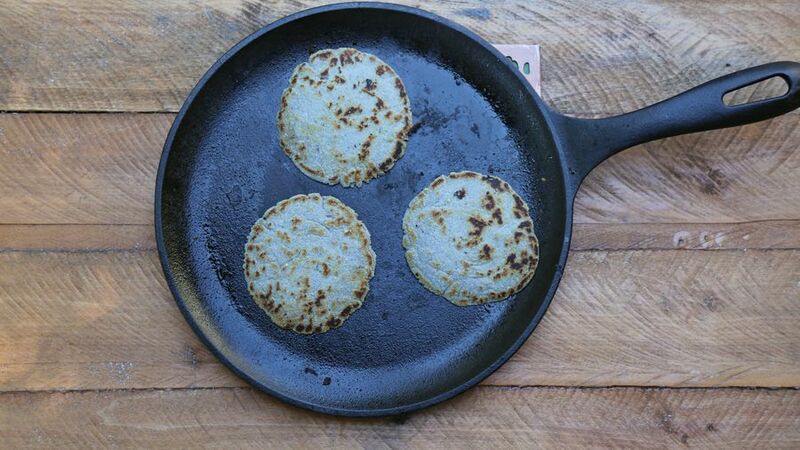 Cook on a preheated comal or grill for two minutes on each side. Serve warm. Freeze leftover tortillas wrapped in plastic wrap to use later. 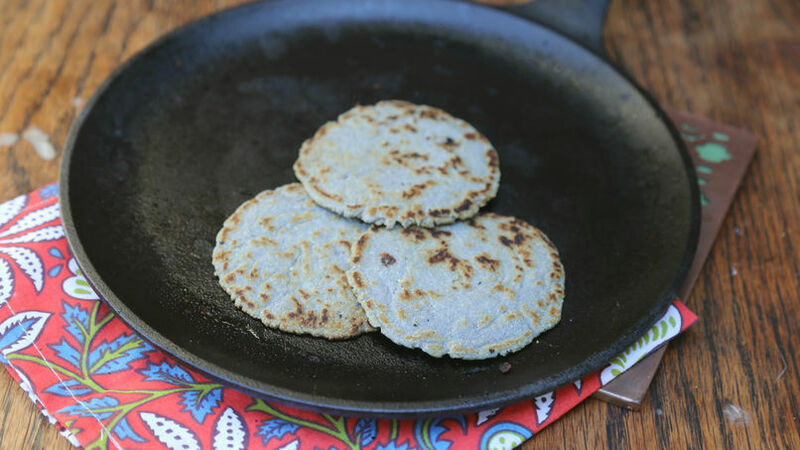 Bake tortillas on a baking sheet to make mini tostadas.